In Aug. 2014 we compared the SEO efforts of UPS to those of FedEx and UPS squeaked past FedEx with a final score of 9 to 8. On the one year anniversary of that comparison, let’s see how these to giants are “delivering” on the SEO front in 2015. Desktop Page Speed Score – The UPS homepage score is a 91 compared to an 89 last year. FedEx chimed in at an impressive 97, also up from last year’s 89. Looks like FedEx takes this one. 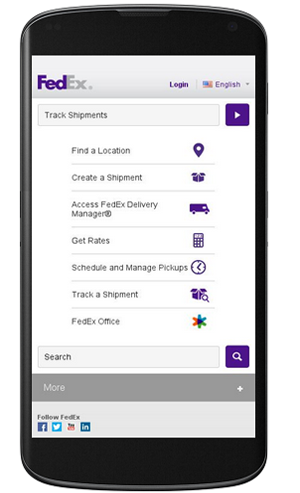 Mobile Page Speed Score – FedEx has clearly realized the value of mobile visitors boosting their mobile speed score from 73 last year to a 97! UPS on the other hand has dropped from a 61 last year to a 55 this year. Looks like FedEx is an early frontrunner in this SEO battle. Website Navigation – Both sites still offer intuitive navigation for the end-user. 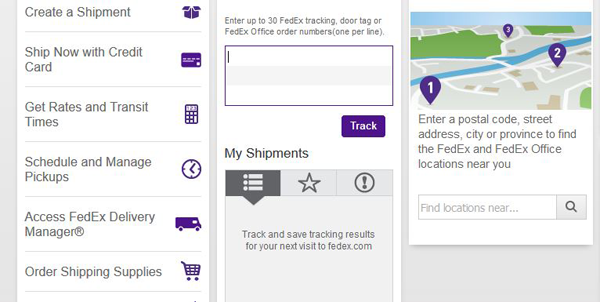 The FedEx site offers a more inviting and modern feel with the use of icons and bold navigation boxes versus the dated text link navigation you see on the UPS site (first image). From a style standpoint, I feel FedEx wins this one as well. Content – It seems that neither company has implemented a strategy to provide unique content to individual locations. While syndicating blog posts from a central blog for each company is fine for local SEO sake, both companies could still benefit from encouraging unique content for the main content pages of individual locations. This one goes down as a tie. Blog Utilization – As mentioned before, both sites have active blogs. It appears that UPS has continued to update its blog at sporadic intervals while FedEx posts several times each month. The blog engagement also appears to still lean in favor of FedEx. Looks like another point for FedEx. Just to recap, the current score is FedEx 4, UPS 0 with 1 tie. Domain Authority – FedEx just beats out UPS with a DA of 95 vs. 94 of UPS. While FedEx is technically higher, they are close enough to be a tie. Domain Rating – According to Ahrefs, the domain rating for UPS is 77, just slightly higher than the 76 of FedEx. In this case, I think it is also close enough to be a tie. Trust and Citation Flow – As you can see below, FedEx (first image) has a higher Trust Flow and Citation than UPS (the second image). It is worth noting that both companies have a lower Trust Flow score than last years’ analysis. Alexa Traffic Ranking – FedEx comes in at 311th most popular site globally and the 83rd most popular site in the U.S. UPS is more popular globally coming in at 230th with an even stronger U.S. showing in 62nd place. This one is hands down UPS. Total Inbound Links – While we covered this last year, this comparison if much less important than the trust and citation flow metrics above so moving forward, we will not compare the inbound links as we all know, quality trumps quantity! Referring Root Domains – Last year UPS had 73,000 linking root domains compared the 62,000 of FedEx. FedEx has closed the gap significantly over the past year with 93,941 linking root domains vs. 95,712 pointing to UPS. UPS wins this one but FedEx is closing the gap for sure. UPS closed the gap in the Technical Comparisons picking up 2 wins and 2 ties with FedEx winning out on Trust and citation Flow. That brings the current score to FedEx 5, UPS 2, and 3 ties. Facebook Shares – According to Moz UPS has racked up 11,011 shares on Facebook compared to 8,519 shares of FedEx. UPS is the clear winner of shares. Facebook Likes – With just 1,025,300 likes FedEx is just behind UPS which has 1,506,115 likes. Chalk up another one for UPS. Twitter Followers – When it comes to Twitter, FedEx has a commanding lead over UPS with 219,000 followers vs. 137,000 for UPS. This one goes to FedEx hands down. Twitter Activity – FedEx is noticeably less active on Twitter than UPS with only 13.2K tweets compared to the 19.6K tweets by UPS. This one goes to UPS. Google Plus Shares – UPS dominates G+ shares racking up over 100,000 compared to only 35,109 shares of FedEx. This is another with for UPS. Google Plus Followers – UPS makes another strong showing in the number of G+ followers with just over 85,000 compared to the 23,887 FedEx followers on G+. Looks like UPS is making a comeback! Thanks to a strong showing on the social media front, UPS has been able to further close the gap with FedEx. The current score is UPS 7, FedEx 6, and we still have 3 ties. Even though we don’t need a tiebreaker this year, let’s see how each company is performing for key terms related to their service offerings. Shipping – Omitting the localized results, I have UPS in the #1 organic position with FedEx ranking #6 organically. Freight – I again have UPS in the #1 organic position with FedEx lagging behind at #4. Logistics & Supply Chain Management – Neither company appears for either of those two terms, leaving room for industrial shipping companies like DHL. 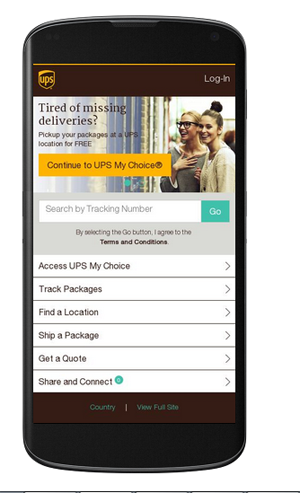 Best Shipping Services – UPS takes the #7 & #8 positions for this keyword with FedEx nowhere to be found on the first page. Wow! After the keyword comparison UPS pulls out a comeback victory with a final score of UPS 10, FedEx 6, and 3 ties. In addition to the above metrics, I also checked to see if both sites were mobile friendly and for those of you using your phone or tablet to ship items, the good news is that they both passed the test. What are two companies you would like to see compared in a future article?